Parsloes Park is a 58 hectare public park in Dagenham in the London Borough of Barking and Dagenham. It is owned and managed by the borough council. A small area opposite the Wren Road entrance is managed for wildlife and designated as a Local Nature Reserve called Parsloes Park Squatts. The Park derives its name from the Passelewe family, who owned the land in the thirteenth century. The land was acquired by the London County Council in 1923. The park was opened by MP Christopher Addison on 13 July 1935, marking the official completion of the Becontree estate. It has a children's play area, football pitches, tennis courts, a basketball court, a bowling green, and a lake. 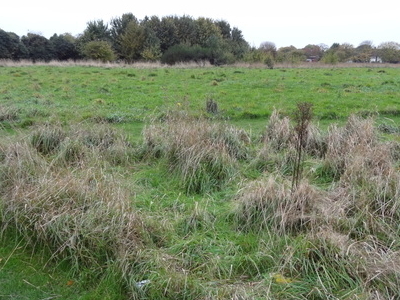 Parsloes Park Squatts is an area of rough acid grassland with a historic hedge. There are entrances in Parsloes Avenue, Gale Street and Wren Road. Here's the our members favorite photos of "Nature Reserves in London". Upload your photo of Parsloes Park!